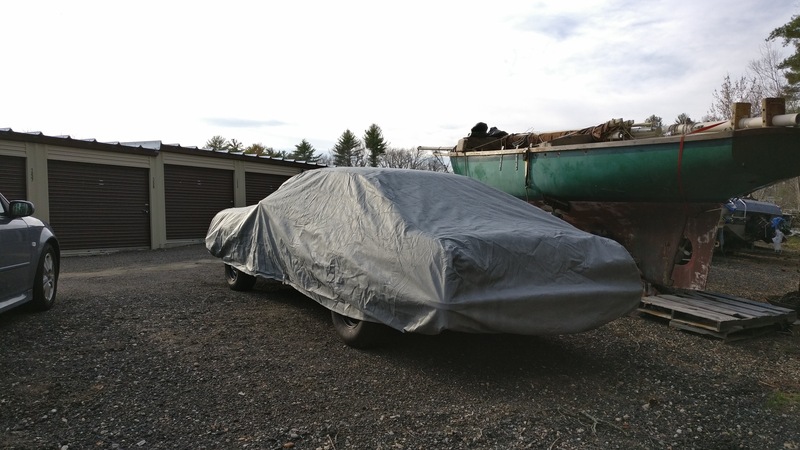 Just bought a car cover for my '76 and figured someone would like to know how it fits..
You never really know with these semi-sketchy websites. I bought the "Ultimate Shield Car Cover" from CarCovers.com for $139.95. Shipped really quickly. Hopefully the pressure sections near the hood ornament and side mirror are not an issue, but overall I'm pretty happy with the fitment of it.